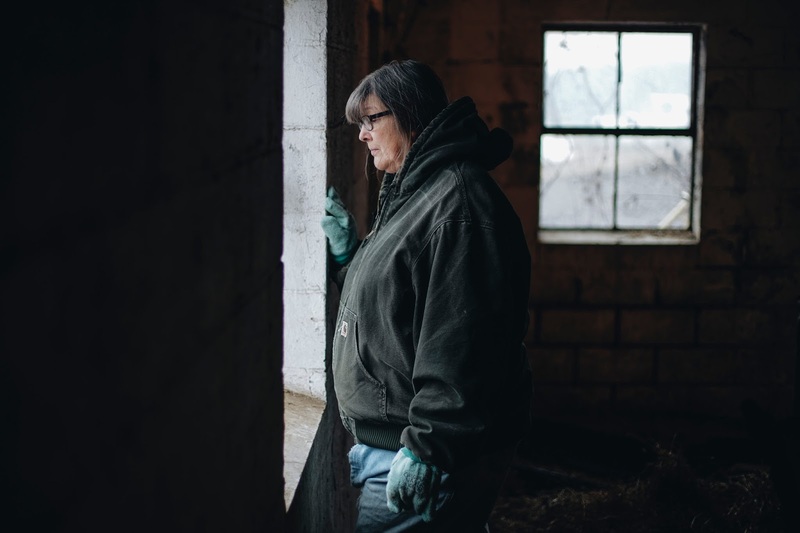 And in upstate New York, Pam Moore was feeding hay to her black-and-white cows at a small dairy that tottered on the brink of ruin . . . . their last lifeline was an emergency federal farm loan. But the money had been derailed by the government shutdown. Now, farmers and farm groups say that federal crop payments have stopped flowing. Farmers cannot get federally backed operating loans to buy seed for their spring planting, or feed for their livestock. All week, Joe Schroeder has been listening to shutdown stories pouring into Farm Aid’s hotline. There was the cotton farmer who could not get disaster assistance to help him recover from Hurricane Michael. The woman in her 90s facing foreclosure on her family farm. The dairy farmer trying to make one last attempt to renegotiate her loan with the Farm Service Agency. “You cannot reach anybody,” Mr. Schroeder said. Many farmers, including David Nunnery, 59, of Pike County, Miss., have stayed unflinchingly loyal to Mr. Trump and his demands for $5.7 billion for a border wall, even as the shutdown threatens their livelihood. “I may lose the farm, but I strongly feel we need some border security,” Mr. Nunnery said. States like Wisconsin, which lost at least 638 dairy farms last year, are particularly vulnerable. The new farm bill passed in December contained programs to help dairy farmers weather swings in the market, and to help farmers struggling with stress and depression get mental health services. But those programs cannot be put in effect during the shutdown, said Senator Tammy Baldwin, Democrat of Wisconsin. This week, as Ms. Moore, the struggling dairy farmer, sipped coffee at Sallie’s Country Kitchen on Main Street in the 2,500-person town of Nichols, she said it felt like her financial problems were closing in. . . . . With little money left for food, she went to a food pantry on Thursday afternoon, picking out frozen fruits and vegetables, pasta, bread, dried beans and some onions to cook when her 9-year-old grandson visited later in the week. For those who voted for Trump and continue to support him, I will pull out my tiny violin. For others who oppose Trump's toxic regime and are suffering harm, especially children, I do feel great sympathy, even as Trump cares nothing about their pain. All that matters is "winning" to satiate his foul ego. Not my president. And yet the trumpanzees STILL voted for Republiscum, and almost all the Republiscum in the House voted AGAINST re-opening the Department of Agriculture.